Biceps Curls And Down Dogs May Help Lower Diabetes Risk : Shots - Health News Aerobic exercise reduces the risk of diabetes. But it looks like muscle-strengthening exercises help, too, according to the Nurses Health Studies. Even supposedly lighter forms of exercise like yoga and stretching reduced women's risk of developing Type 2 diabetes. Women who work out with weights an hour a week cut their risk of developing Type 2 diabetes, and yoga or stretching exercises count, too, according to a study that tracked the health of almost 100,000 women. Doctors have long known that regular exercise reduces the risk of diabetes, but that's always been translated as aerobic exercise like jogging or brisk walking. More recent studies have suggested that weight training or other forms of nonaerobic exercise might help, too. But those studies were all done in men. Women, this one's for you. This study used data from the massive Nurses Health Studies from the Harvard School of Public Health. Researchers asked 99,316 women in their 30s, 40s and 50s about their exercise habits twice from 2000 to 2005, and then looked to see if they developed Type 2 diabetes by 2009. They found that women who did muscle-strengthening and conditioning activities had a lower diabetes risk, even if they didn't get aerobic exercise. For each 60 minutes of activity in a week, the women reduced their risk of diabetes by about 14 percent. 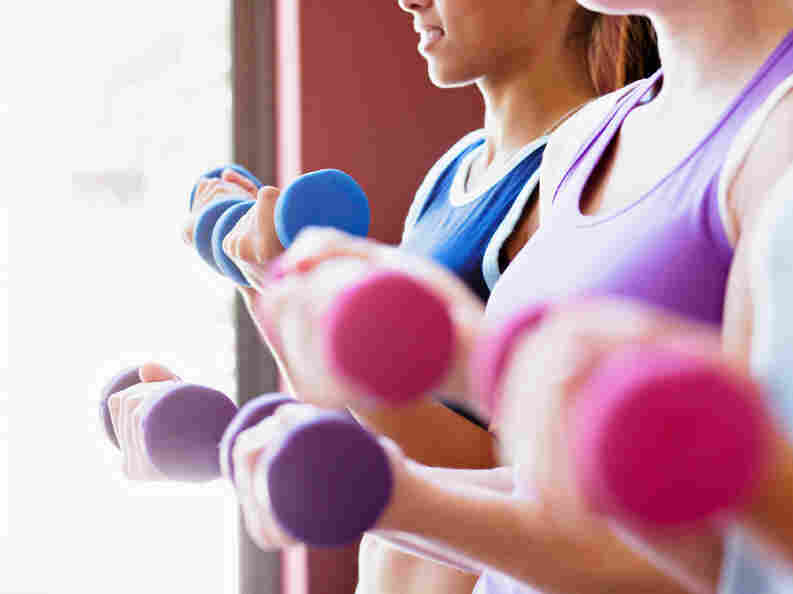 Women who did muscle-strengthening and conditioning exercise more than 150 minutes a week lowered their diabetes risk by 40 percent. Adding in aerobic exercise helped even more. Women who did at least 150 minutes of aerobic exercise and 60 minutes of muscle-strengthening exercise weekly reduced their diabetes risk by two-thirds. Those who were overweight or obese showed the biggest benefit. The results were published in PLOS Medicine. Of course, this good news comes with caveats. Doesn't it always? The women who were exercising also tended to be making more healthful food choices and weighed less, and were less likely to have a family history of diabetes. Most of the study participants were Caucasian. And all the women's exercise habits were self-reported, so they could be fudging. But the sheer size of this study, which has been the source of landmark findings such as the risks associated with hormone replacement therapy, makes it more likely that the results are reliable. The federal government recommends 150 minutes a week of moderate-intensity aerobic activity for adults, and at least two days a week of muscle-strengthening exercise. But something is better than nothing. This planner from the National Institutes of Health suggests starting with 10 minutes a day, then adding in an additional five or 10 minutes every few weeks. Enjoy!